Just as the Cleveland Browns decided to move on from one troubled wide receiver, they are now replacing him with yet another divisive figure. The Browns announced on Saturday that they will release Josh Gordon later this week after six up-and-down seasons with the team. If he’s not traded before Monday, Gordon will hit the free agent market. 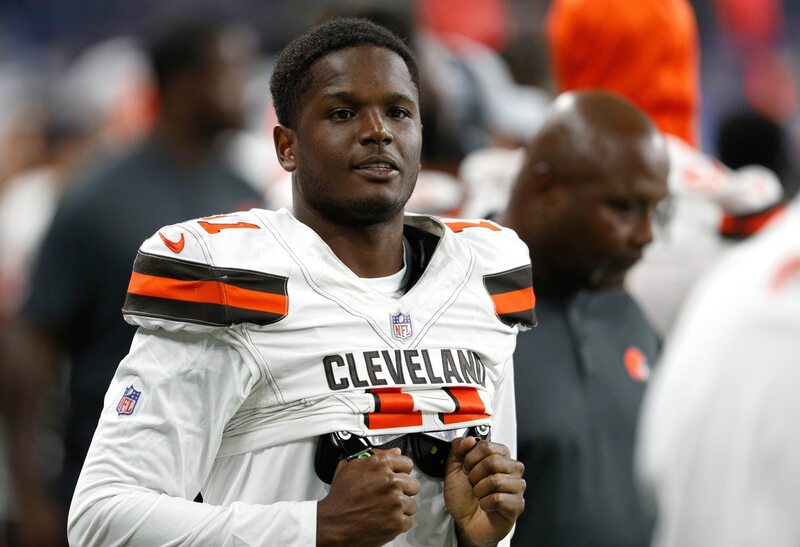 Like clockwork, Cleveland has decided to replace Gordon in the lineup with rookie fourth-round pick Antonio Callaway. Browns announce DE Chris Smith replaces injured Emmanuel Ogbah, LB James Burgess replaces injured Christian Kirksey, and WR Antonio Callaway replaces inactive Josh Gordon in starting lineup. This is notable in that the former Florida star fell to the fourth round of April’s draft after numerous off-field incidents when he was a member of the Gators. That included allegations of assault. Back in May, just weeks after he was drafted, the wide receiver was arrested for possession of marijuana and driving with a suspended license in Ohio. He’s still waiting potential punishment from the NFL.